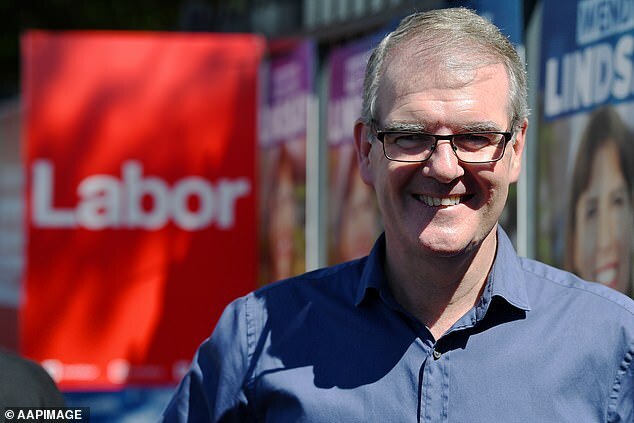 NSW Labor leader Michael Daley has announced that he is standing down from his position after a disastrous end to his election campaign. 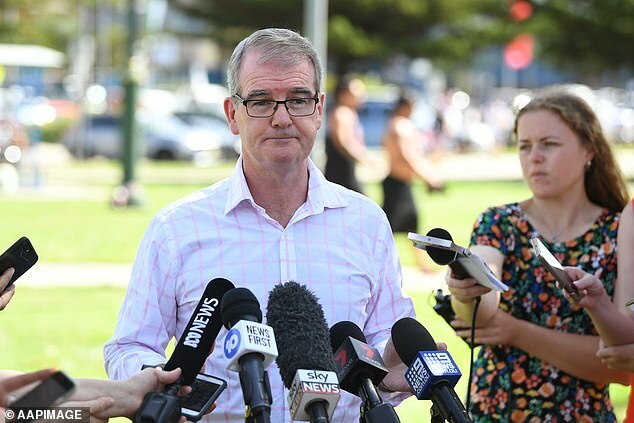 Mr Daley revealed on Monday afternoon that he would resign and appoint Penny Sharpe as interim leader, ahead of a leadership spill after the federal election in May. Kogarah MP Chris Minns has been touted as the top contender to take his position full-time. Mr Daley was criticised for comments he made in the final week of the campaign suggesting Asians were taking Australian jobs. He also failed to remember his own education policy during a televised debate, providing wildly inaccurate figures for how much he planned to spend on TAFE. The ALP had earlier said Mr Daley would remain in his position until May. 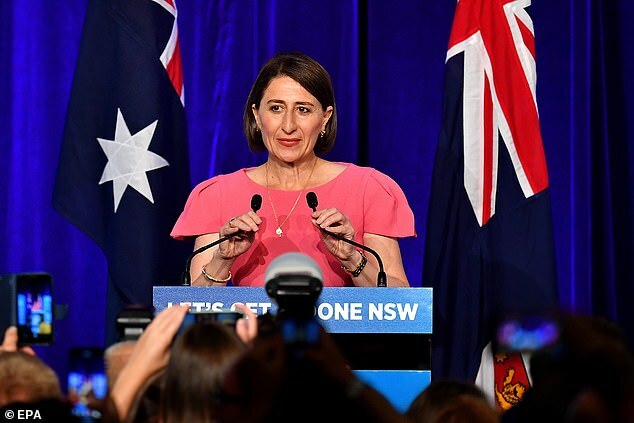 ‘Labor party officers have resolved to hold the rank-and-file ballot for leader of the NSW parliamentary party after the 2019 federal election,’ the ALP said in a statement on Monday. A senior party source on Monday told AAP that head office was delaying the contest until after the federal election – expected in May – to limit any negative impact on the campaign. Labor has directed NSW MPs to ‘refrain from commenting on, or campaigning for, the (state) leadership prior to the federal election’. The decision comes after Mr Daley and the Labor party conceded defeat in the state election on Saturday night. More than 1.3 million people cast their vote in what was tipped to be one of the closest elections in decades, but in the end the Coalition led the way. 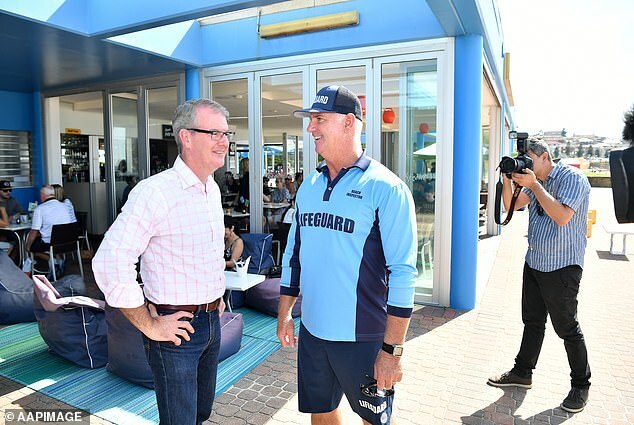 Mr Daley said despite the disappointing result, he would continue on as NSW Labor leader to a cheering crowd of about 200 at Coogee Bay Hotel. ‘Sometimes we win them, and sometimes we lose them,’ he said. Mr Daley became leader in November after Luke Foley was forced to resign but has since come under fire for comments he made in the lead up to the election. Mr Daley struggled to answer simple questions about school and TAFE funding at a western Sydney People’s Forum debate on Sky News. During the live TV debate at Western Sydney University, he also struggled to name a dollar figure for school funding, even though Labor is vowing to match recommendations made in a landmark report by business leader David Gonski. ‘I can’t remember the exact figure,’ Mr Daley said. He then couldn’t recall how much the Labor government would spend on TAFE vocational education. ‘Ah, about, $3 billion on TAFE,’ Mr Daley said. 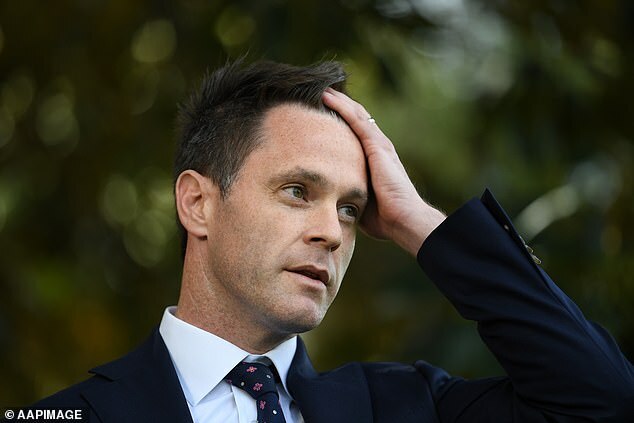 The former corporate lawyer and Customs officer later confirmed his party would allocate $2.7 billion over four years to increase public school funding, and $64 million to TAFE. The debacle came just days after it was revealed Mr Daley made comments on Asian immigration, where he said Asian immigrants were taking the jobs of young Australians. ‘Our young children will flee and who are they being replaced with? They are being replaced by young people from typically Asia with PhDs,’ he told a public function in Wentworth Falls in September when he was Labor’s deputy leader. 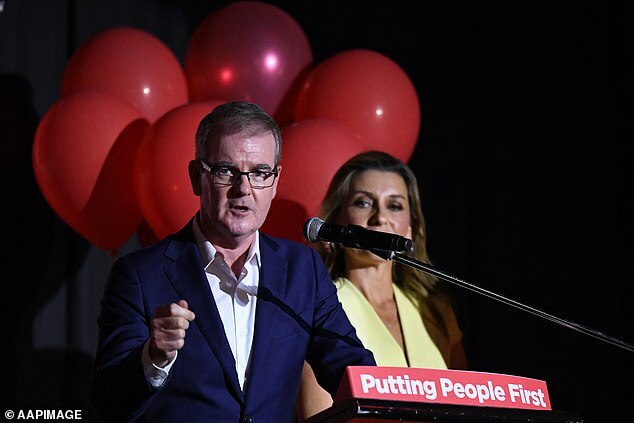 If Mr Minns challenges Mr Daley for the leadership of the NSW Labor party and wins, he would become the party’s third state leader within five months.